Recently while browsing a few boutique businesses both online and off, I saw something that is dangerous to any business that interacts with customers both online and face-to-face. Here's what happened: a new cute store opened in my city and I followed them on Facebook and Instagram. Online they are fun and fabulous. I am Liking and Double Tapping and they are Liking my Likes and responding to my comments with energy and emojis and I feel like, "Yes! They get me and I am their customer for sure!" Then, I go into the actual shop and . . . .
. . . not so much. I realize - these women are much friendlier online than in person. What is that all about? Seriously, this has happened to me a couple of times over the past few months? Is it me? Am I just not as fun in person? There is another business in my neighborhood that creates things of such beauty. When I regram one of their images, (both because I like it and I want to help promote them) they are all gushy and thankful and I can FEEL the smiles. Then I visit the business (all excited mind you because of what I have experienced online) and the staff seems bored, are dressed in the opposite of what I expected and don't seem to really care. Maybe their social media is done by someone else and she is really friendly? Or perhaps - and this is sadly becoming more the norm - face-to-face communication is a lost art. Okay, we know this isn't true all the time but these experiences are. This is a problem for many reasons, and it all ties back to the customer experience. Here are just two of the many ways this can have such a negative effect on your business. Rather than walking into your business from a neutral place, your customer is walking in with pre-expectations - from a positive, excited place. You are not showing brand consistency, thus your brand is broken. The first reason is probably pretty easy to understand. Here's a regular life example. Have you ever seen a house that is GORGEOUS. You want that house. You imagine yourself living in a house like that. It's in the most beautiful, lush, not pretentious but perfect neighborhood. Then one day - SO EXCITED - you see an Open House sign for the upcoming weekend. Even though you aren't in the market to buy, you cannot WAIT to see this house. 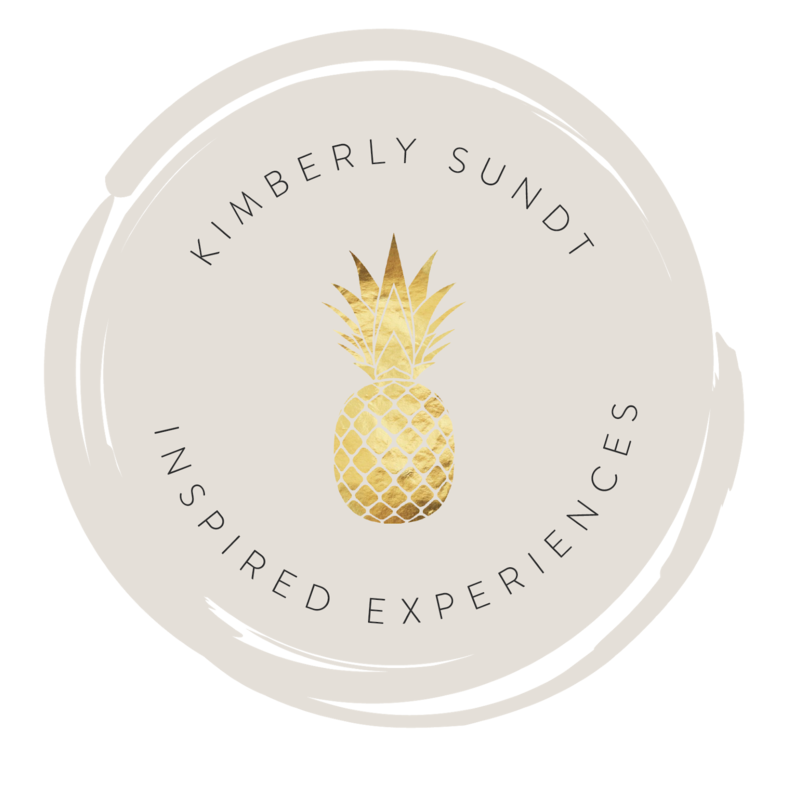 You invite a friend to go with you, as you know you both are going to be leaving inspired not to mention get a sneak peek into how these fabulous people live. This furniture looks like my husband's before I married him. Before I agreed to date him! Oh.......this is so disappointing. Not what I expected. Granted, I didn't have any reason to expect anything, but based on what I saw, I just thought . . . . . . If you post beautiful quotes and images and engage with your customers online, but don't follow-through in person, they will be disappointed. You've already made them feel a certain way online. You have to continue that feeling when they walk through your doors. But to point #2, if your brand isn't the same "person" in all situations, then you don't have a brand that means something in the minds of your customers (more on that in a separate post). Here's what happens when you stay on-brand during all touchpoints. You make sense to your customers. That sounds really boring, but we live in an incredibly noisy world and things that make sense stick. Your customers understand you and your products or services - who you are. You and your business and your employees have guidelines - rules to follow. These don't hinder - they help. They are the standards that help define you and your company. Your ideal customer feels like they are in the right place. They belong. This is the place for them. You build trust because your customer can count on you to be who you say you are. This trust leads to chatter online, to retention, to loyalty, and to new customers. It is possible to do this right. But it takes understanding and defining what your brand is or what you want it to be. Then, it takes attention and intention. But your customers will love you and they will live your brand. ps (perspective shift) when you are in your favorite shop, salon, hotel, take a second to note how you feel when you are there. Jot it down. Then, go to their website - how do you feel now? Do they match? Does it make sense? Are you relieved or disappointed? 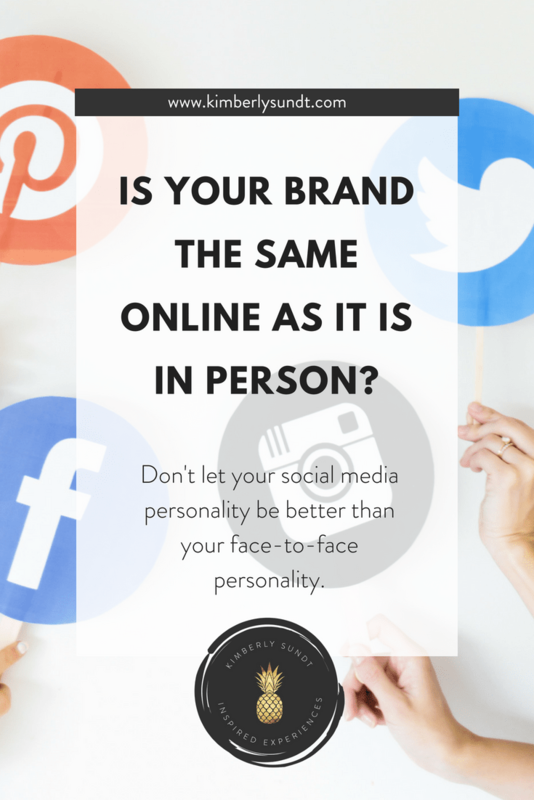 Keep these examples in mind when you work on your own social media personality vs in-person personality.